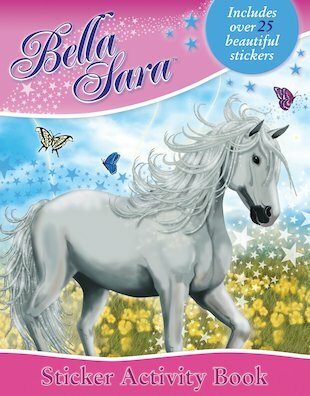 Bella Sara is a paradise world of magnificent horses – with so much fun to gallop through, you’ll be amazed! It’s a universe where horses’ hooves thunder all day long, where magic happens easily and inspiration is never far away. From fluffy foals and enchanted unicorns to majestic winged horses and serene seahorses, Bella Sara has them all. And in this book of sticker fun, you can come and meet them!